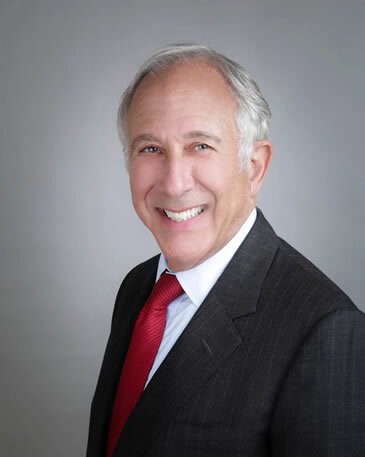 James R. Cummins is the managing partner of Cummins Law LLC., and has served in a similar capacity since the 1972 founding of its predecessor firms. For over 30 years, he has focused his practice on business matters, including business formation, business disputes and corporate governance. He has been the lead counsel in mergers, corporate business dissident and take over challenges, minority shareholder disputes and SEC civil litigation and enforcement defense. During his career, he has frequently been selected by public and private companies to conduct board directed special investigations on officer conduct and employee malfeasance. He has been nationally recognized for his direction of proxy efforts on behalf of dissident shareholders seeking control of boards of directors and has also defended public and private companies against dissident control challenges. He has frequently been engaged to advise corporate officers and directors in state and SEC compliance and enforcement matters. Jim has represented business of all sizes from sole owners to publicly held companies owned by thousands of shareholders. From early formation of startups and their financing to complex private midterm and long term financing, his practice is designed to assist in the early development of businesses and their successful efficient growth. Jim’s practice has frequently advised start-up entrepreneurs in financings, growth strategies and investor attraction and dispute resolution. He was legal counsel in the formation and continuing representation of one of the first money market funds in the United States and its related mutual fund. Jim has represented public companies for over 30 years in SEC and state securities law compliance, mergers and acquisitions, proxy contests and corporate special investigations. He has been recognized as a corporate governance expert and has provided expert opinions and guidance for both public and private businesses throughout his career. Recently he was principal counsel in successfully guiding a public company through the discovery of an employee embezzlement while the company was engaged in a $185 million merger. Jim has also frequently represented private investors in securities arbitrations against broker dealers and investment advisers to recover losses caused by improper investment advice and other unlawful activity of registered investment advisers and registered broker dealers. Jim led members of his firm’s team in the design and execution of strategies for a successful exit of his clients embedded minority share interests—interests being oppressed by the majority owners. In most engagements, the client’s interests were protected either by a takeover of control or by a purchase of the client’s interests at prices significantly above any “minority discount” offer. In 2003, Jim was co-lead trial attorney in the successful prosecution of a federal securities fraud claim and state breach of fiduciary duty claim against DPL Inc. (NYSE: DPL). The global settlement of $145.5 million for Jim’s clients in the combined federal and state cases ranked at the time as the 21st largest in the history of securities fraud cases. In 2005, Jim was co-lead trial attorney in the first Freddie Mac accounting fraud litigation, Ohio Public Employees Retirement System v. Federal Home Loan Mortgage Corporation, United States District Court, Southern District of New York – the case was settled for Jim’s clients for $410 million, ranking the settlement at the time as the 9th largest of all federal securities class action cases. From 2004 to 2015, he was one of the lead trial attorneys in the Fannie Mae accounting fraud securities class action litigation, In Re Fannie Mae Securities Litigation, United States District Court, District of Columbia. He is currently engaged in the Freddie Mac Subprime class action, Ohio Public Employees Retirement System, et al. v. Federal Home Loan Mortgage Corporation, et al., United States District Court, Northern District of Ohio. Jim was co-trial counsel for 200 physicians in the nation’s first successful antitrust, RICO and securities fraud case against a HMO system. The trial team secured a jury verdict of $108 million for their clients, which was the largest award in the history of Hamilton County, Ohio at the time, eventually resulting in $65 million payout to the clients. Recently he was engaged to represent the founder and large stake holder of a NASDAQ company seeking a shakeup of the current management policies and direction. After a two-year fight, a financially successful was achieved for the client at levels far in excess of the client’s goals. At the request of the Board of Directors of a public company, Jim served as special proxy contest defense counsel and defeated dissident shareholder efforts to extract “green mail” payments from the company. Deploying a unique technique known as a modified Dutch auction, the dissidents’ voting strengths were essentially destroyed. His achievements in complex corporate litigation were recognized in an American Lawyer survey of 400 corporate general counsel, as one of two recommended corporate litigators in the southern Ohio region. Practice Areas: Securities Law; Corporate Law; Special Investigations; Mergers and Other Business Combinations; Class Action, Derivative and Commercial Litigation; Health Care; Antitrust. Admitted: Ohio, 1967; United States District Court, Southern District of Ohio, 1970; United States Court of Appeals, Sixth Circuit, 1995; Kentucky, 1999; United States District Court District of Columbia, 2004; United States Court of Appeals, First Circuit, 2008; United States Supreme Court, 2009; United States Court of Appeals, Fourth Circuit, 2009. Law School: University of Cincinnati, J.D., 1967; New York University, LL.M. in International Business Transactions, 1968. Case Note Editor, University of Cincinnati Law Review, 1966-1967. Editor, New York International Law Review, 1967-1968. Ohio Public Employees Retirement System v. Federal Home Loan Mortgage Corporation, et al. (Freddie Mac II Securities Litigation), United States District Court, Northern District of Ohio, Eastern Division, Case No. 4:08-cv-160. Counsel for Lead Plaintiffs in subprime lending litigation (in progress). In Re Freddie Mac Securities Litigation, MDL 1584, Lead Case No. 03-cv-4261, United States District Court, Southern District of New York. Counsel for lead plaintiffs and the class in a national federal securities fraud class action against Freddie Mac and three of its former executive officers. Global settlement of $410 million cash was the 9th largest federal securities class action at the time. In Re Fannie Mae Securities Litigation, Consolidated Civil Action No. 04-cv-01639, United States District Court, District of Columbia. Counsel for lead plaintiffs in securities fraud class action litigation against Fannie Mae, three of its former senior executive officers and KPMG. Global settlement was achieved in 20XX. In Re DPL Inc. Securities Litigation, Case No. C-3-02-355, United States District Court, Southern District of Ohio. Co-Lead Counsel for lead plaintiffs and the class in federal securities fraud class action against company and its former senior officers. Global settlement of $145.5 million for combined federal and state cases was the 21st largest securities class action and settlement in the United States at the time. In Re OM Group, Inc. Securities Litigation, Case No. 1:02-cv-2163, United States District Court, Northern District of Ohio, Eastern Division. Counsel for lead plaintiffs and class in securities fraud class action litigation obtained a $92.4 million settlement. David Slone, et al. v. Fifth Third Bancorp, et al., United States District Court, Southern District of Ohio, Western Division, Case No. 1:03-cv-211. Special counsel for Defendant Fifth Third Bancorp in securities fraud class action litigation. ChoiceCare Litigation, United States District Court, Southern District of Ohio. Co-lead trial attorney; obtained jury verdict of $108 million against ChoiceCare for physicians. Austern Trust v. Peter H. Forster, et al., Hamilton County Common Pleas Court. Represented plaintiff in shareholder derivative action resulting in a $5.5 million settlement, which included important corporate governance reforms. In Re FirstEnergy Shareholder Derivative Litigation, United States District Court, Northern District of Ohio. Co-Lead Counsel for plaintiffs in shareholder derivative action achieving a $25 million settlement. Co-lead trial attorney; obtained settlement for Ohio schools in price fixing litigation. Defense litigation against claims of Proctor & Gamble (three cases); continuing defense litigation services. Prosecution of non-competition and trade secret case. Represent subsidiaries, including Ethicon Endo-Surgery, defense of non-competition litigation; representation of officers and employees in shareholder litigation involving Theragenics Corporation (not a J&J entity); employment law defense litigation. Representation of securities industry executives, corporate officers in SEC enforcement investigations. Defense representation of CEO in civil securities litigation and regulatory enforcement matters. Defense representation of Chairman and outside directors in shareholder litigation and regulatory enforcement matters. Successful proxy contest; board restructuring; crisis management; corporate governance matters; SEC compliance. Representation of board against dissident challenges; board restructuring; crisis management; continuing representation for SEC compliance and corporate governance matters. Principal attorney in Frisch’s 2012 sale of its Golden Corral restaurant group for over $50 million, ranked as the one of the top 10 largest restaurant sales in history of Ohio. Principal attorney in 2015 $185 million stock purchase/merger of Frisch’s. Representation of largest individual shareholder and others for proxy contest, board restructuring and corporate governance issues. Special Investigation Counsel to public company’s Board of Directors reviewing conduct of high ranking corporate officer. Special Investigation Counsel to public company’s Audit Committee on embezzlement by officer. The American Lawyer, Corporate General Counsels’ Selection (1 of 2 firms in Tri-State) for Litigation Resource in Ohio. 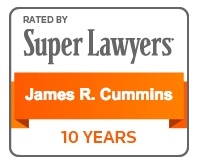 Ohio Super Lawyer 2007-2017, recognized as one of the top 20 Securities and Corporate Finance attorneys. Best Lawyers in America 2015-2017, recognized as top Securities and Corporate counsel. The American Lawyer, Winners Circle, 2006, “Big Suits,” recognizing $410 million record settlement in Freddie Mac Securities Litigation. The International Who’s Who of Corporate Governance Lawyers (2002), selected as one of 66 U.S. attorneys (236 internationally), recognized by their peers and their clients as leaders in the field of corporate governance. Member, Board of Commissioners on Grievances and Discipline of Supreme Court of Ohio, 1989-1994. Former Member, Advisory Committee on Local Rules, United States District Court for the Southern District of Ohio. Featured Speaker, The New Barbarians at the Gate—SEC Whistleblowers and Activist Shareholders: Defenses and Best Practices. (October 2012), Ohio State Bar Association. Featured Speaker, Advising Corporate Directors and Officers (May, 2012), Ohio State Bar Association. Featured Speaker, The New Whistleblower in Town: SEC’s Dodd-Frank Whistleblower Rules in Litigation (October, 2011), Cincinnati Bar Association. Featured Speaker, Just Say “No”: Accountants’ Liability in Civil Securities Cases, (2008) American Accounting Association. Featured Speaker, Multi-District Litigation/Class Actions (2007), Southern District of Ohio Federal Bench Bar Conference. Invited Presenter, Protecting Shareholders’ Rights from Corporate Wrongdoing (2007), Government Investigations and Shareholder Litigation, University of Dayton School of Law Symposium. Featured Speaker, Corporate Governance and Internal Controls: What Sarbanes-Oxley Means for Businesses (2005), National Business Institute, Continuing Legal Education Program. Featured Speaker, Sarbanes-Oxley Act Implications for Internal Auditors (2002) with Protiviti (Arthur Andersen’s former Risk Management Practice Group). Chairman & Featured Speaker, Corporate Ethics: Can Trust be Rebuilt (2002) with KPMG Forensic, Cincinnati Bar Association. Lecturer: “The Year 2000 Time Bomb: Legal & Corporate Governance Implications for Board of Directors, Trustees and Officers,” Cincinnati and Columbus Bar Associations, 1999.